Is it normal for level 20 players to attack level 17 players which is 3 levels higher? When I raid other players, I have deal with players who are 3 levels higher than me and never 3 levels lower than me. Which means that no matter how strong I've trained my survivors, it is impossible to defend my outpost successfully. Does anyone share similar experiences? You're in Gold Tier 1, more higher influence, more high level players gonna attack your post. 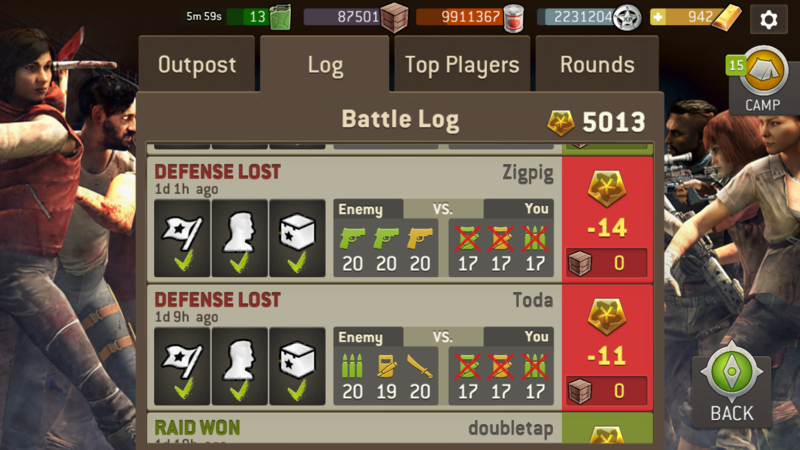 If you want equals lvl then you have to lose your influence by lose on purpose and starts raid without killing, just grab the stash and flee. NML regards you as a boss. Take that as a compliment.